Leading Service Provider of advantech industrial pc, industrial power supply, battery management system, meanwell power supply and power line filters maintenance services from Chennai. 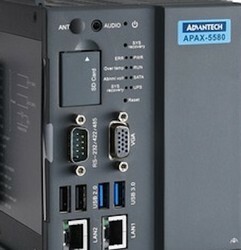 We offer Advantech industrial Embedded Computing ,embedded Pc , Automation control, Chassis, Computer, Computing Platform, CPU Card, Embedded, Eplatform, HMI, Industrial, Panel PC, PC, PC-Based, SBC, Single Board Computer, Server, Workstation, ATCA, Blade Server, Compactpci, Computer Telephony, CTI, Cots, Custom Enclosure, High-Availability, Industrial PC, NAS, NEBS, Network Application, Raid, Security Appliance, Thin Client, Biscuit PC, Embedded PC, KiOSK, LCD PC, Medical PC, Mobile Computer, PC104, PC/104, Poi, POS, RISC, Slot PC, Touchscreen, Wince, Windows.Net, ADAM, Automation Software, Control, Converter, D&C, Data Acquisition, Industrial Automation, Industrial Communication, Industrial Controller, I/O, Measurement, SCADA, Signal Conditioning, Testing and Video Surveillance . USA(United States), UAE (United Arab Emirates), UK, Saudi Arabia, Malaysia, Sri Lanka, Australia, Argentina , Bangladesh ,Belgium ,Bahrain ,Brazil, Bhutan ,Belize ,Canada , Switzerland, Cameroon , China, Colombia, Germany Denmark , Egypt, Finland, France ,Greenland, Hong Kong , Greece , Indonesia, Ireland , Israel ,Iceland , Italy , Jamaica ,Jordan , Japan, Kenya , South Korea , Kuwait , Morocco ,Mauritius ,Maldives ,Mexico, Malaysia, Netherlands, Norway, Nepal , New Zealand, Oman, Philippines, Portugal ,Poland, Qatar, Russia,Singapore, Thailand, Turkey, Taiwan, Tanzania, Ukraine, United Kingdom ,South Africa, Vietnam ,Zambia and Zimbabwe. In the automatic production process, the power supply is the basic component which requires high stability and safety protection functions. The new DVP series and CliQ series high-efficiency and stable industrial power supplies are the latest offering from Delta Electronics, the world’s largest power supply manufacturer as well as the leading power management solution provider with our professional design and experiences. Tablet power supply is currently the most widely adopted device in the power distribution panel market. 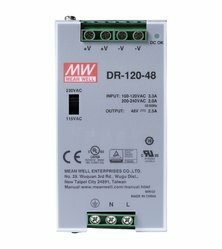 Delta's PMC series industrial power supply offers users DC24V (35W, 50W and 100W) and DC12V (35W 50W and 100W) models with enhanced safety, efficiency and the best power quality. 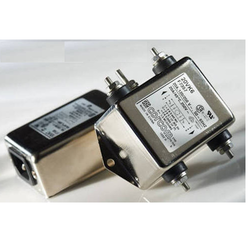 If you are looking for Delta make Power supply, please contact us. We will do our best to help you find the Delta Power supply that you are looking for at the most competitive prices possible. BMS -Battery Management System is essential in a Lithium-Ion battery system. We design and manufacture BMS as per custom requirements. custom lithium-ion battery packs with BMS and turn-key solutions for custom-made battery packs. Design and research & development, production, sales and service of Power supply. Looking for Power Solution ?